A bittersweet fact of life in showbiz: More often than you might think, a director will break through with an attention-grabbing debut feature -- maybe even an instant classic -- and then never again do anything that has anywhere near the same impact. That's not to say that Stuart Rosenberg didn't find an appreciative audience (one that includes yours truly) for movies as diverse as The Laughing Policeman, Pocket Money, The Drowning Pool and The Pope of Greenwich Village. 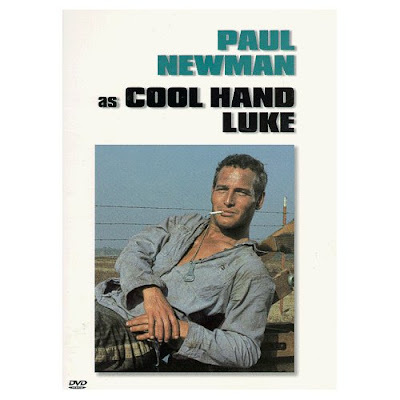 But throughout nearly 25 years as a journeyman filmmaker, the TV veteran never made another movie as flat-out great and enduringly influential as his first big-screen effort: Cool Hand Luke. But never mind: Sometimes, all you need to do is make one movie to ensure your immortality. BTW: Rosenberg had his name removed from 1986's Let's Get's Harry -- a movie credited to the notorious Alan Smithee -- after producers demanded reshoots to beef up the role of then-ascending star Mark Harmon. (At least, that's what co-star Glenn Frey told me during his '86 promotional tour for the action-adventure.) The film was roasted by critics, and emptied out theatres quicker than someone yelling: "Fire!" Two years ago, however, there was -- yes, you guessed it! -- talk of a possible remake. So far, though, nothing has come of the project.